What a wonderful Thanksgiving post. I agree with your mom, "Tacky" would have been an unfortunate nickname for one of you, and "Lepto" wouldn't be any better (makes me think of a disease). 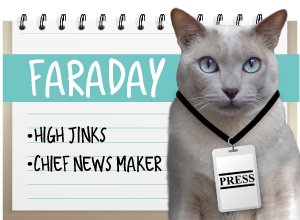 Seriously, it's been a pleasure reading your blog. 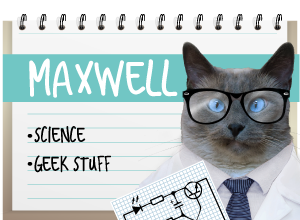 Keep up the fantastic work as an animal advocate and sharing the antics of Maxwell, Faraday, and Allie. Happy Thanksgiving! We're grateful for YOU! Happy Thanksgiving! Annabelle and I love your blog and are grateful for you all! Very happy Thanksgiving! We are thankful for all of you for being your friends! Happy Thanksgiving. We're thankful for your friendship!! Happy Thanksgiving to you! Thank you for bringing laughter and smiles into my life each day. Wishing you a blessed Thanksgiving. We remember you lost a beloved member of your family not to long ago and we know and understand how different the Holidays will be for all of you this year. You are in our thoughts. Happy Thanksgiving! Hope you have a wonderful day! We are thankful to have met you! Happy Thanksgiving! I didn't find your blog for the first few years, but I am thankful that I eventually got here. 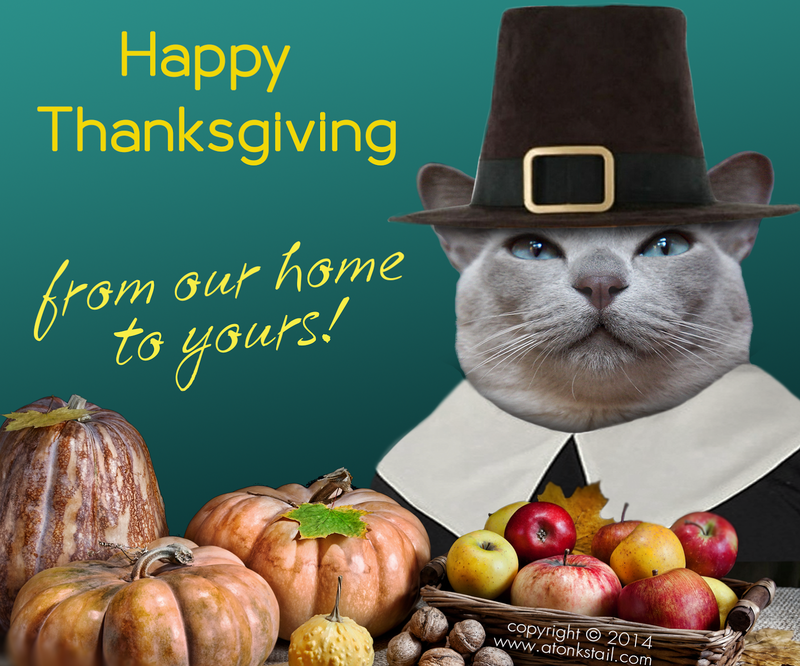 Hope you're having a purr-fect Thanksgiving!!! Happy Thanksgiving! Thank you for your friendship. Happy Thanksgiving! Thanks for being our furiends. And a Happy Thanksgiving Day to you all! Happy Thanksgiving to all of you...we are so happy you are our pals! 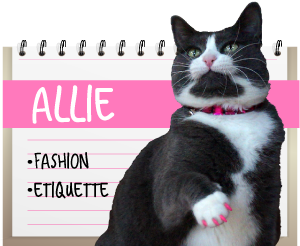 What a nice pilgrim kitty,MOL! Happy Belated Thanksgiving to you!! We're very thankful for you too!